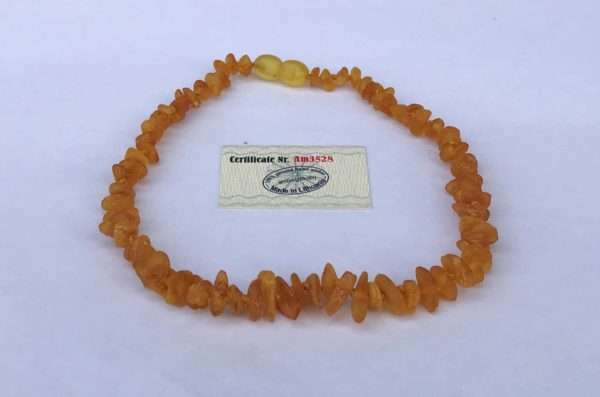 Baltic Amber is an organic substance formed over 45 million years ago. 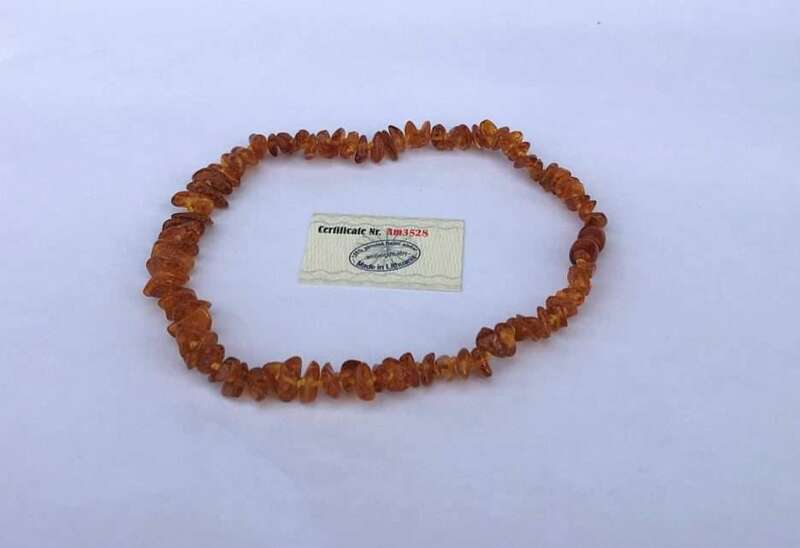 It is a fossil resin produced by pine trees that grew in Northern Europe (Lithuania). 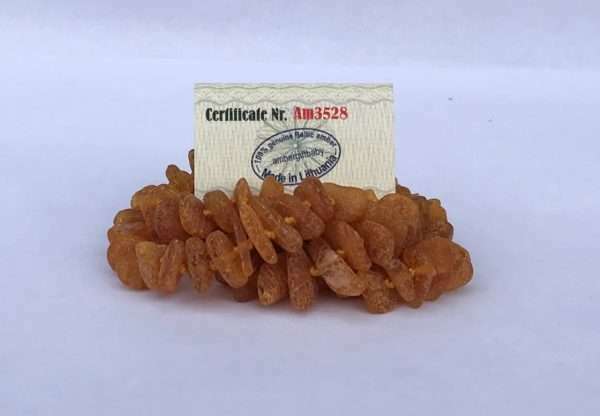 Our Baltic Amber comes directly from Lithuania. Our Baltic Amber comes with a signed certificate of authenticity from the manufacturer. Honey and Multicolored Amber are made from Raw Unpolished Amber Beads. Cognac (darker beads) are made from Polished Amber Beads. 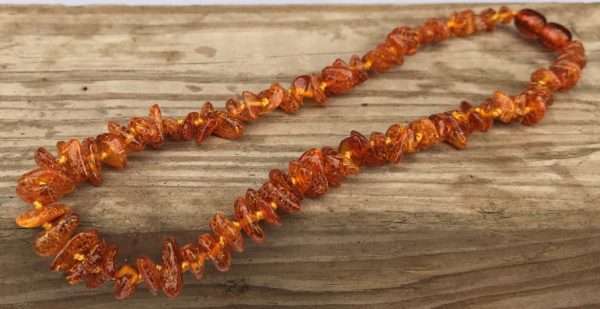 The succinic acid in Baltic Amber is known to be a natural analgesic (pain reliever), anti-inflammatory, to accelerate the healing of wounds, and to help with relaxation. While wearing Baltic amber the heat from your skin warms the amber beads releasing small amounts of its healing oils that are then absorbed through the skin and into the blood stream. 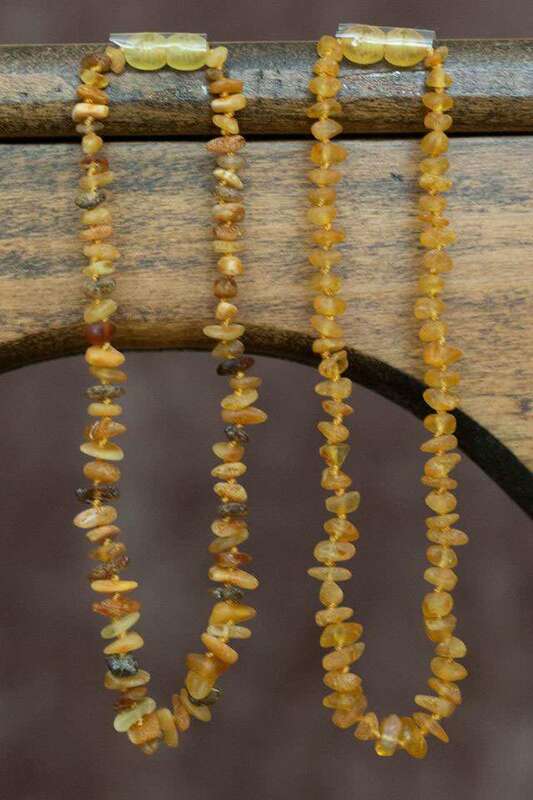 Each necklace has a safety screw clasp so that if the necklace is pulled or becomes stuck it will safely come off without causing injury. Each bead is knotted individually on the necklace in case the necklace breaks, only one bead will fall off. 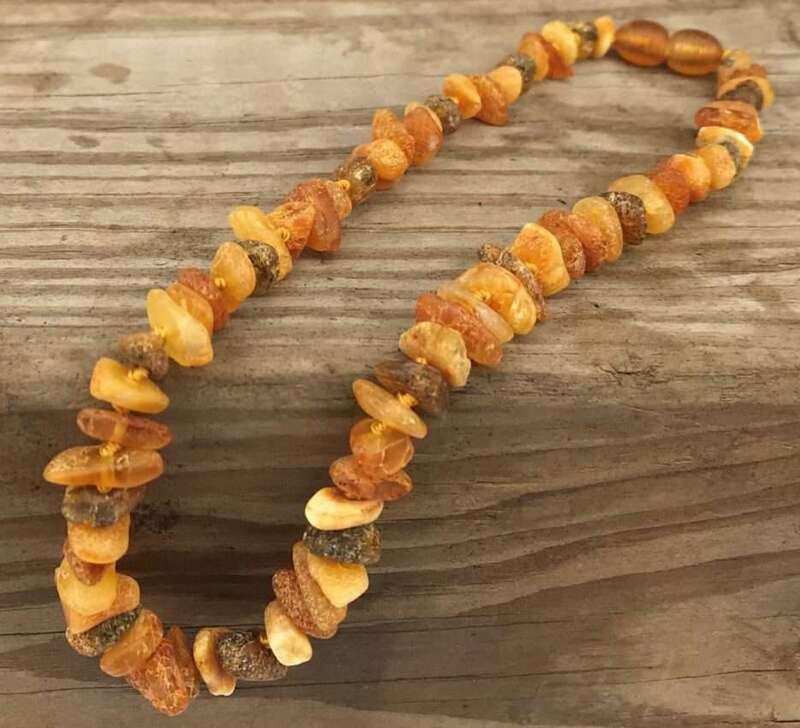 Do NOT let babies or children sleep in amber (or any) necklaces. 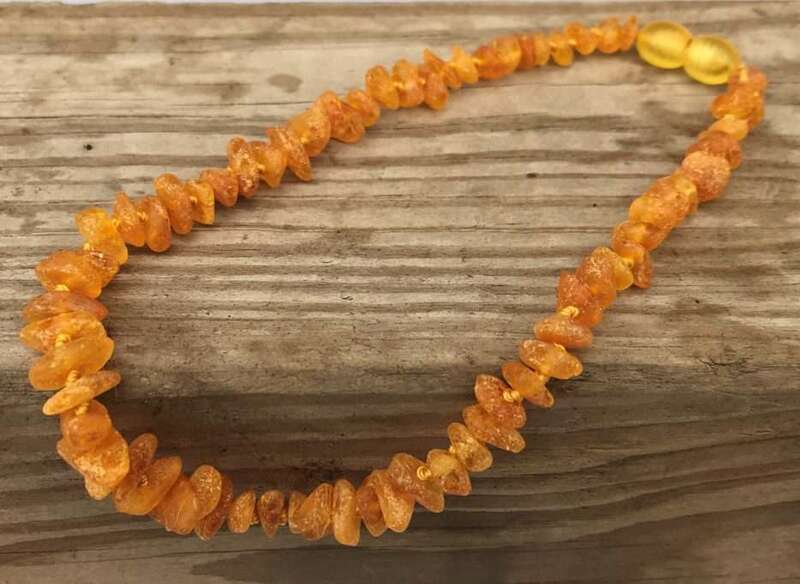 Amber necklaces should be removed from neck while sleeping but you may wrap it around your child’s ankle. 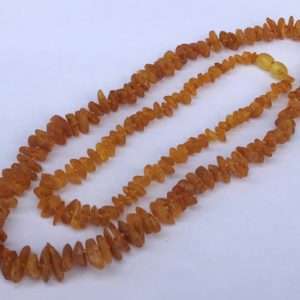 Babies and children should always be supervised while wearing any necklace including amber necklaces. 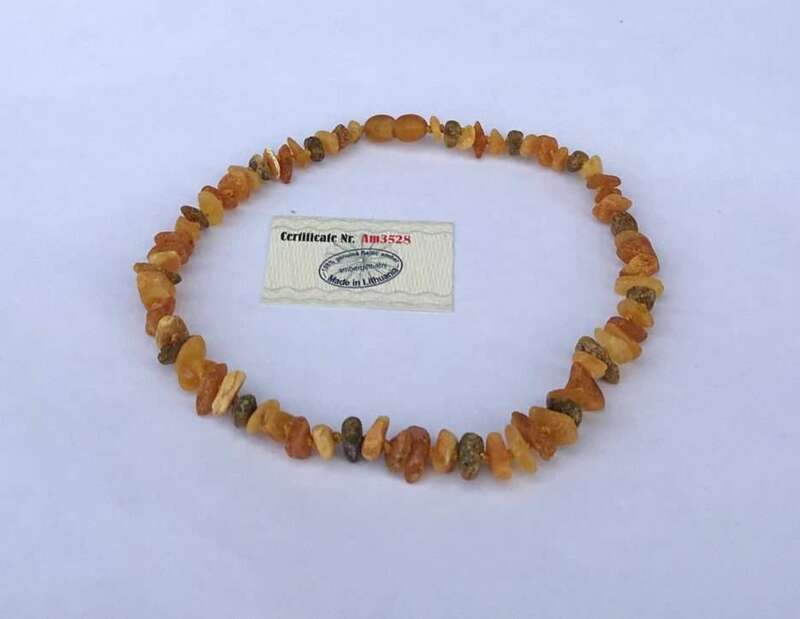 Always let caregivers know that your child is wearing an amber necklace so that they can be the judge if they feel it is a safety precaution to remove when in their care. Amber necklaces are NOT meant to be chewed on and will break if bitten.